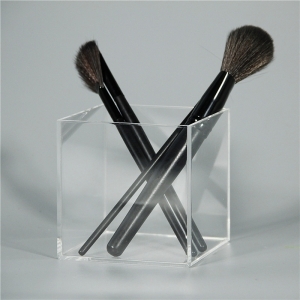 Square clear acrylic makeup brush holder is in simple design, our size can be customized based on your request. This acrylic makeup blender cases are made from high-quality, crystal clear, lucite acrylic and adorned with a gorgeous diamond-style knob, these cases will instantly add a touch of sophisticated glam to your vanity station! 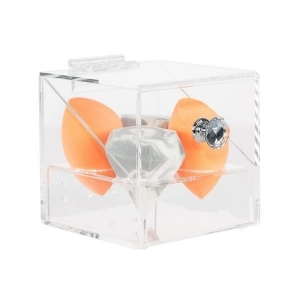 NOW with ventilation to allow beauty blenders to air out inside the case. 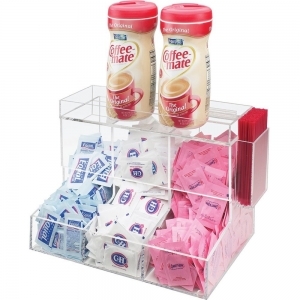 Clear acrylic coffee condiment storage organizer are widely used in home and supermarket. You can store tea and coffee from water and keep long time. Do your labels come in blister packs or other non-dispensing packaging? Then you need this dispenser. 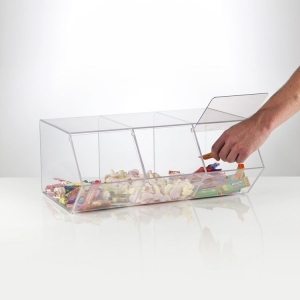 Suction cup feet keep dispenser in place and protect surfaces. 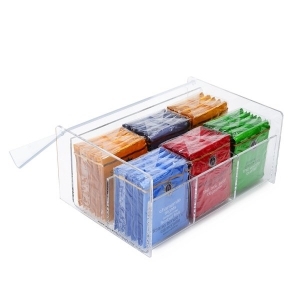 Clear acrylic tea holder display from Yageli display factory can be holder 6 package tea. normal color is transparent, if you need, we can also do custom design and color based on your request. 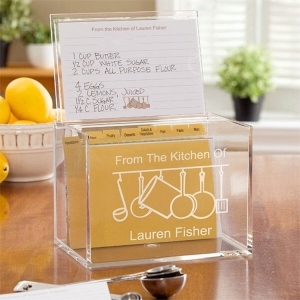 Our Personalized 4x6 Recipe Box is the perfect storage place and gift for the chef who has piles of delicious recipes! You can personalize the recipe box with any two lines of personalization centered in the Parisian-inspired damask design. 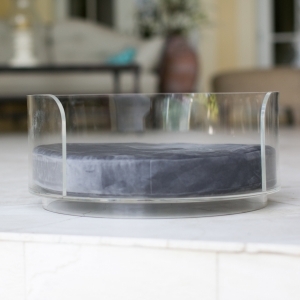 These designer pet beds are a part of the Invisible Collection by Yageli. 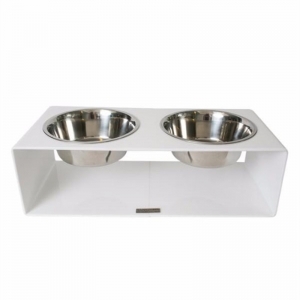 These ultra-modern dog beds are made of a half moon of sturdy 8mm acrylic thatâ€™s water resistant and shields from chilly drafts. These pet beds are perfect for pets that love to snuggle up when they sleep. 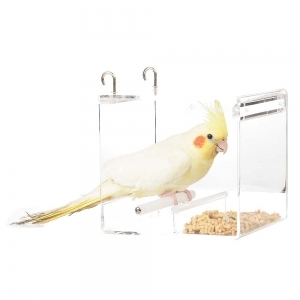 The design of acrylic bird cage focuse on quality and craftsmanship. 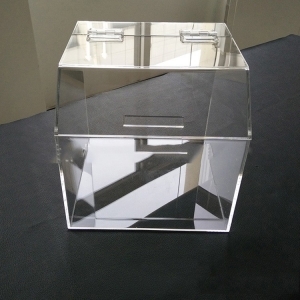 Our acrylic board cage are available in divider style and types that you are always choose from based on your preference. 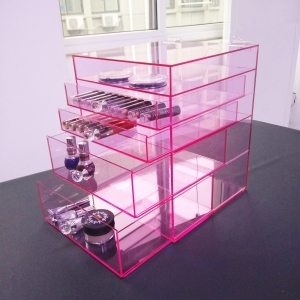 The pink acrylic makeup drawer can be used for; Skin care, hair products, make-up or jewelry, you will be surprised by how much this smaller version can hold. 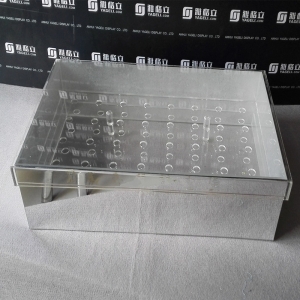 This big acrylic flower box are widely used in party and wedding. it can hold 104 roses, mirror design make it luxury and beautiful. We can also do custom design and logo printing. 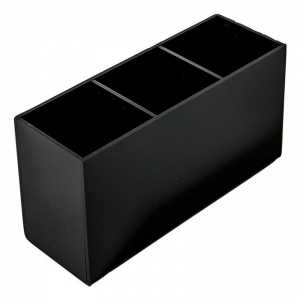 Black organizer case is widely used in offices. 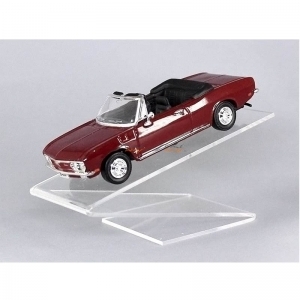 Worker use it to organizer book, pen and office file. Welcome for inquiry.